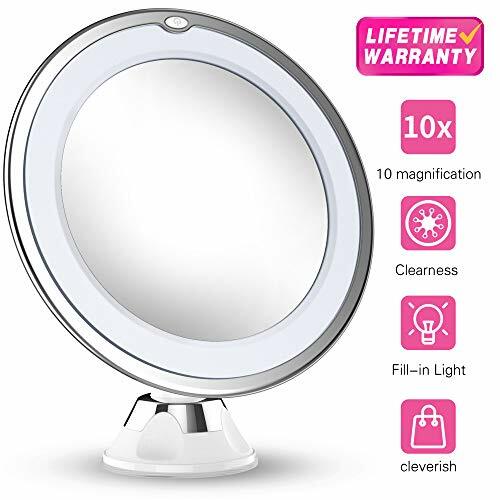 9-Inch lighted makeup mirror simulates cold, warm, natural sunlight, you could dimming the brightness and choose the best light for your perfect makeup and grooming tasks! 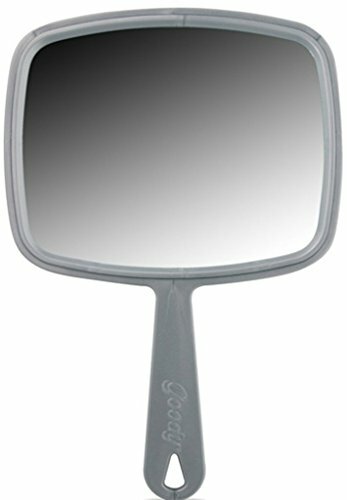 The vanity mirror has bluetooth audio with speakerphone, streams music wirelessly from iPhone, Android and more. 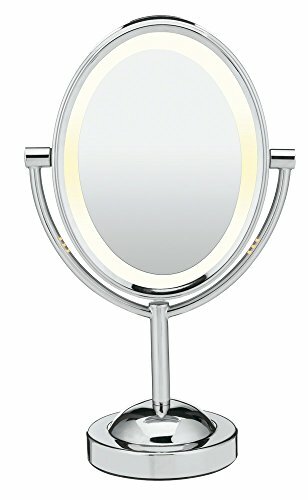 Built in MIC with integrated media controls with talk/end button, free your hands to answer your phone while makeup. 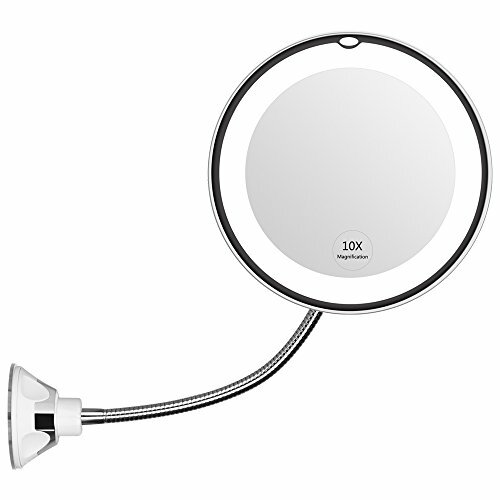 1x magnification: Comprehensive - view your entire face at once in exceptional detail. 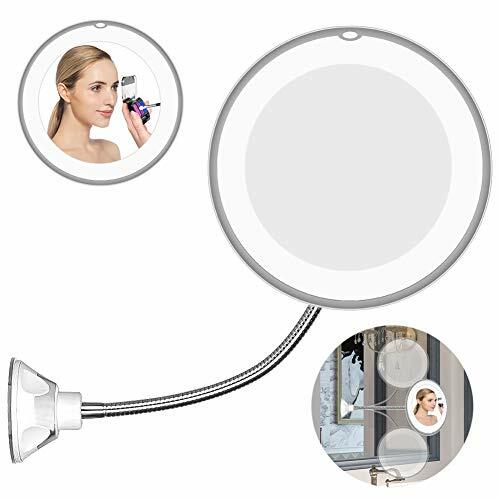 5x magnetic magnification:Extremely close-up view for detail work like tweezing and applying eye makeup. 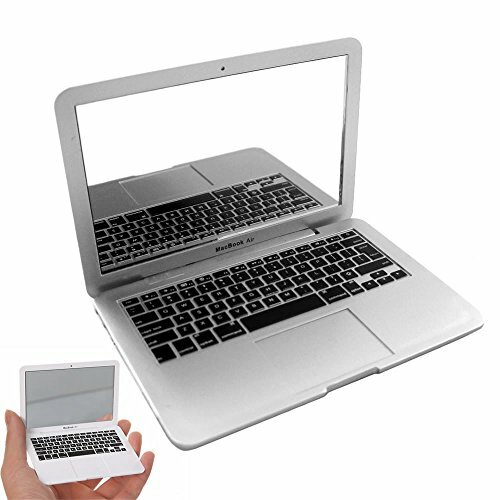 Powered by rechargeable built-in battery or usb cable directly. 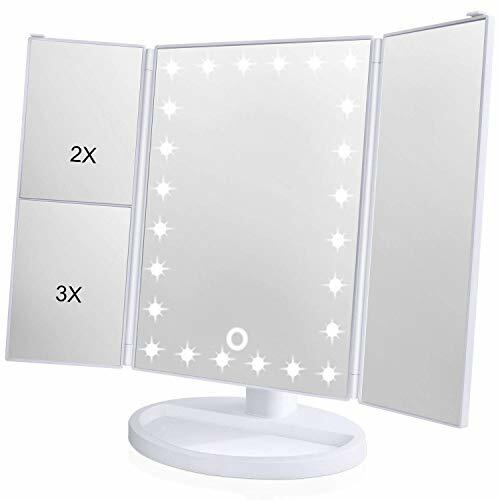 The makeup mirror comes with a solid built Type-C usb charging cable. 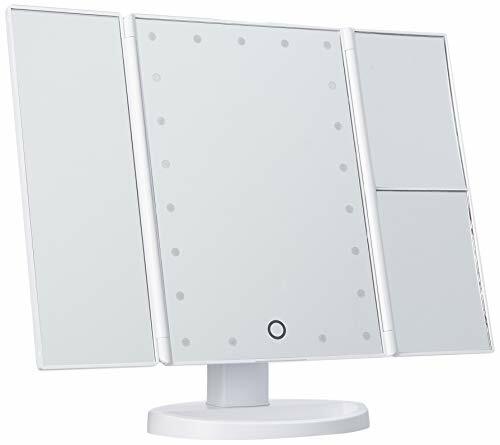 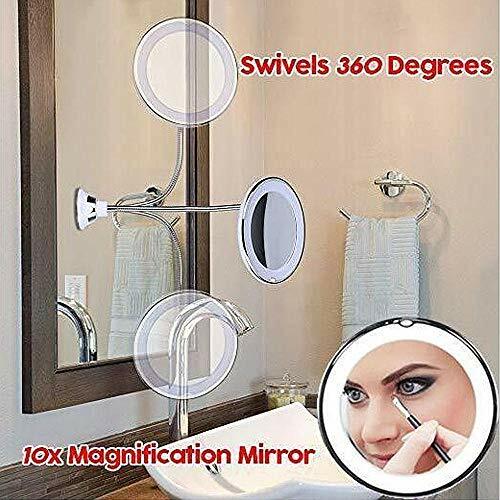 You will never miss a spot again thanks to rotating swivel design on this vanity makeup mirror, you can double-check your look from every angle. 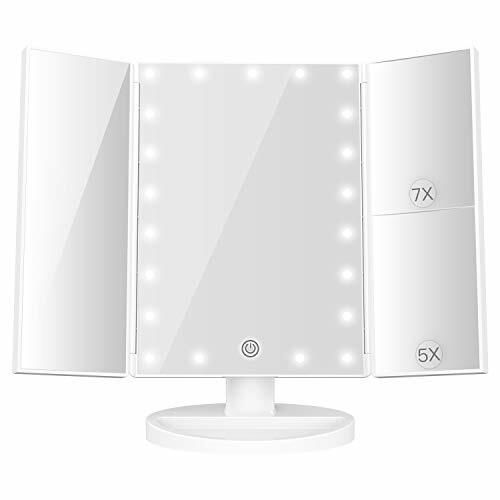 The makeup mirror can be used as a dimmable bedside lamp when rotating it to 90 degree. 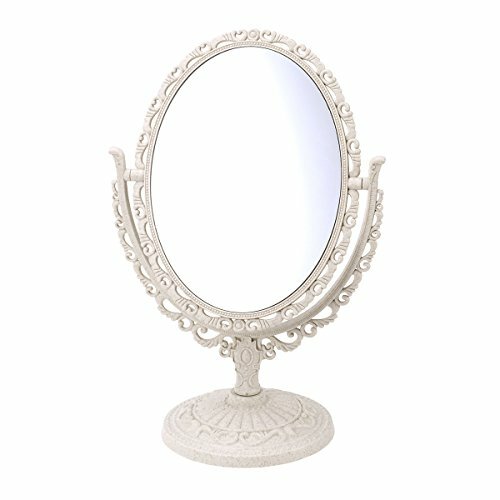 Warm lights creats an inviting and peaceful atmosphere in your bedroom. 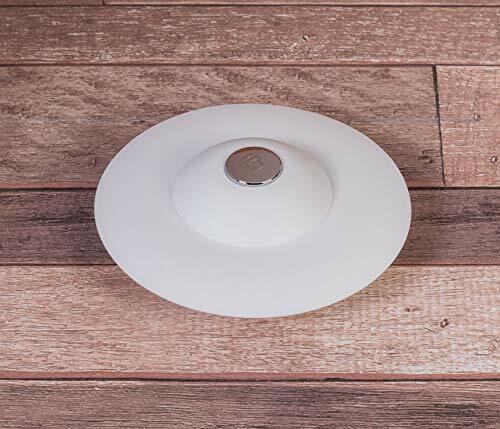 Up to 90% energy saving, less heat output and extremely long life. 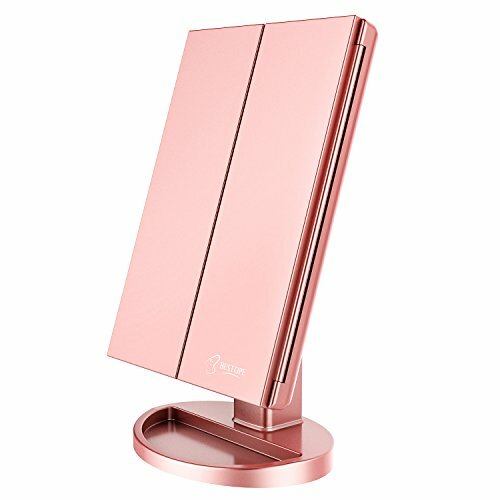 Well-designed and neat package, looks expensive. 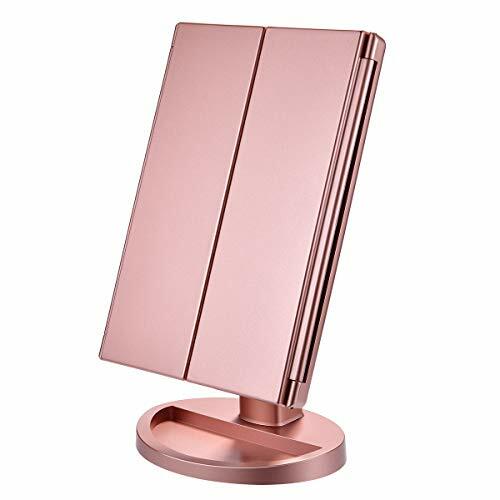 Definitely a wonderful choice as a birthday gift, anniversary gift, festival gift for your family or friends. 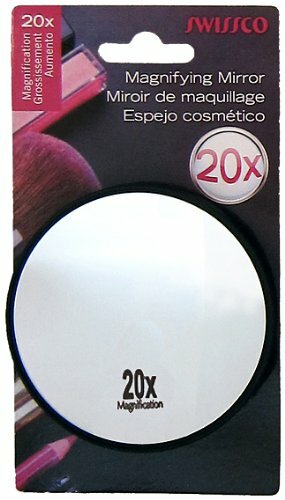 LARGE 9 INCH ROUND VANITY MIRROR - 1X/5X magnification design, 1X with large size 13.7'' H x 9'' Round for regular makeup, the 5X magnified magnetic mirror size is 4 inch round, it can be attached right on the large mirror to be able to see up close which is perfect for doing mascara, eyeliner, eyebrow, lipstick etc. 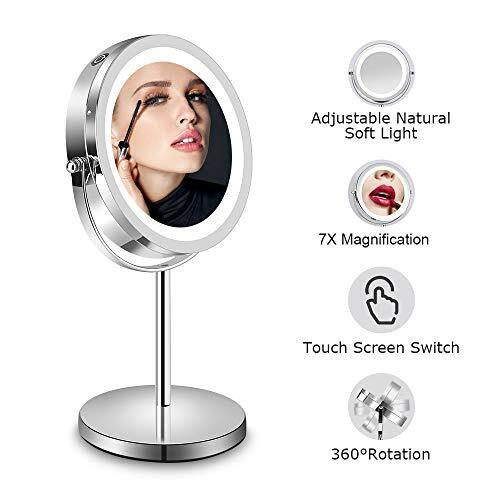 BLUETOOTH CONNECTION - This makeup mirror has a built-in bluetooth speaker that you can connect it to your phone by bluetooth to play music, doing makeup with music is great. 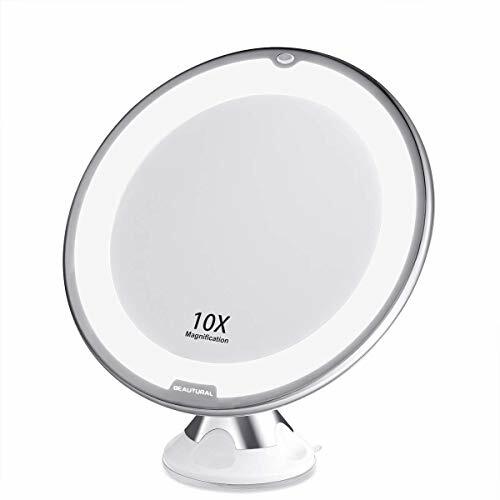 The speaker gives you even more functionality to talk to your friends while you prepare yourself for your evening ahead. 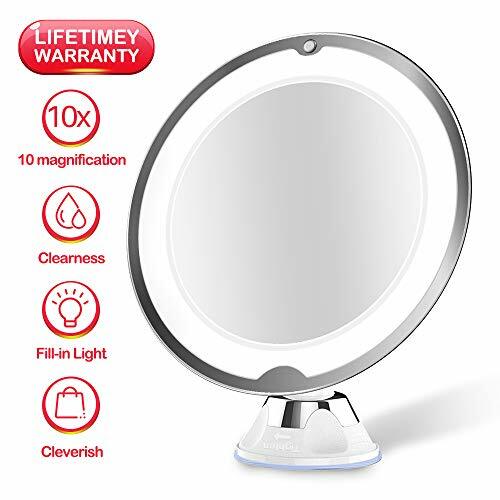 3-COLOR LIGHTING MODES AND DIMMABLE - The led mirror comes with Cold/Natural/Warm LED lighting modes, touch sensor switch to adjust the brightness. 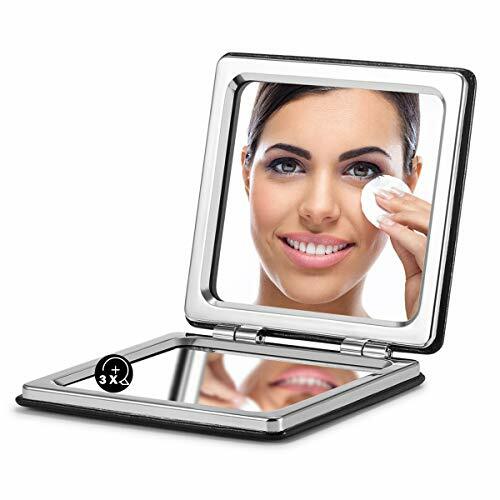 You can always know when your makeup is color-correct and flawless with the best lights. 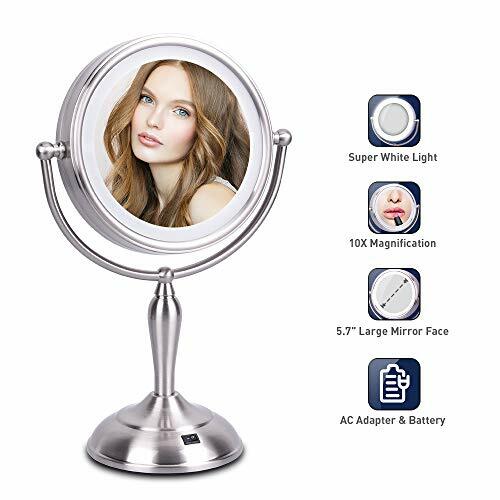 It is a perfect Birthday, Anniversary, Christmas gift for ladies and girls. 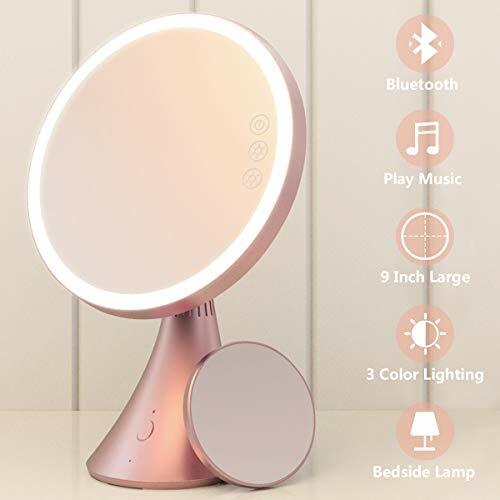 BONUS BEDSIDE LAMP - When you tilt the mirror to a 90 degree angle with mirror facing up, the light turns off, and the back is also a light which turns on then as a bedside light. 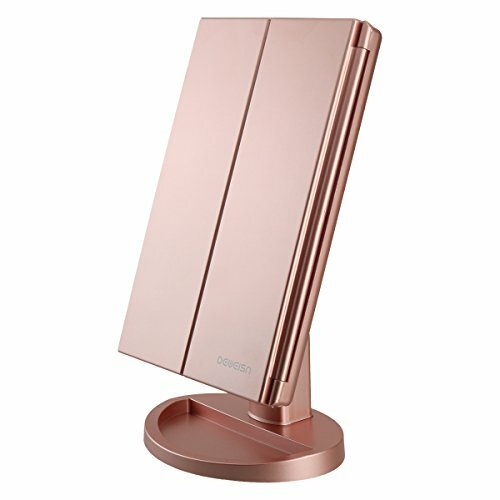 The beside lamp is also dimmable, so you can read a book comfortably at night. 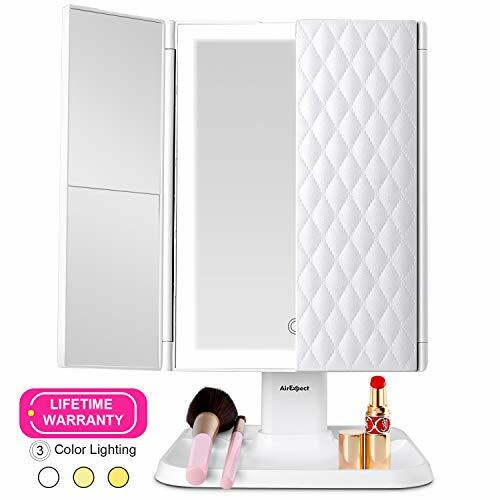 Babyltrl makeup mirror come with 100% satisfaction guarantee, refund or replacement will be send if the mirror don't satisfy you.